Climbing a mountain is always somewhat of a challenging experience. It takes determination and skill. It takes will power and self-motivation. But no matter what trials may arise when facing the task of mountain climbing, it’s not short of its rewards. It will offer more satisfaction than struggle and more pride than problems when completed and you’re astounded at what you’ve achieved. 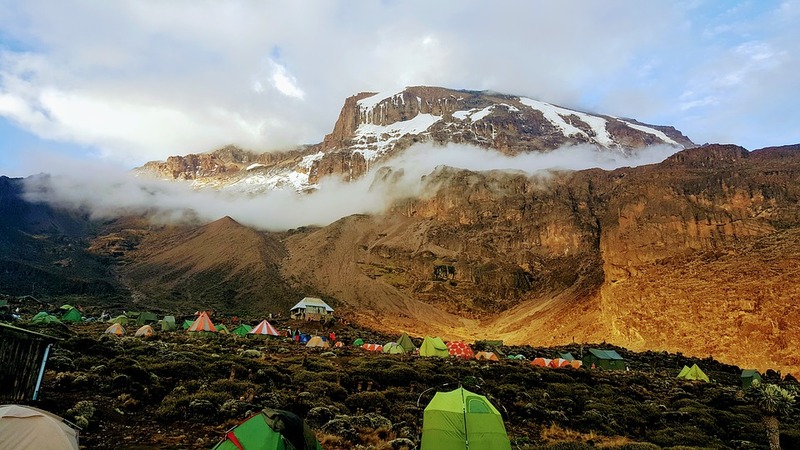 Climbing Kilimanjaro is an advantageous activity that will take you to the heights of fascination, not only at your ability to climb it but also at the beauty that surrounds. It’s the only place in the world where you can see the curvature of the earth, a spectacular view that rises above sea-level and consists of three volcanic cones. From a range of some of nature’s most wonderful wildlife and plant life, it’s a journey that’s not short of spectacle. Here are some things to consider before you take the climb. You may come at this challenge with the mind-set that you need to assert yourself and push yourself at a pace as if you were trying to complete a race, but that won’t do you justice, it will only leave you burnt out by the time you reach half way. This mountain should be taken at a steady pace. Take your time, save your energy and savour your surroundings so that you can enjoy as well as finish the climb. The best way to go about being steady when you climb is making sure you acclimatize during the accent. Let your body acclimatise to the lower levels of oxygen as you climb, not doing this will leave you feeling more worn out than usual. Take 40 steps forward and 20 steps back to make sure that your body adjusts, and you can avoid acute mountain sickness as best as you can. Statistics show that roughly only 30% of climbers make it to the top of Mount Kilimanjaro, and you want to be one who falls into that category. The way that you can ensure that you’ll make it is by picking the route that will suit you and support you in your journey to success. You can also pick a path that provides you with a bit more scenery. Altogether a total of seven routes are available to travel on. The Rongi route starts from the northeast of the mountain and is not as scenic as some of the other routes but is dry, and may not pose as much of a struggle as the other routes that have more scenery. Go into the task with a right resolve. You don’t want to take on an attitude of defeat before you start. Reap the reward of being named amongst those who have made it to the top. Don’t let your mind motivate you to turn back, but take on the climb with an attitude of wanting to achieve high. Don’t do it at the detriment of your health, be in tune with your body, but as long as you can preserve then make sure you press on.